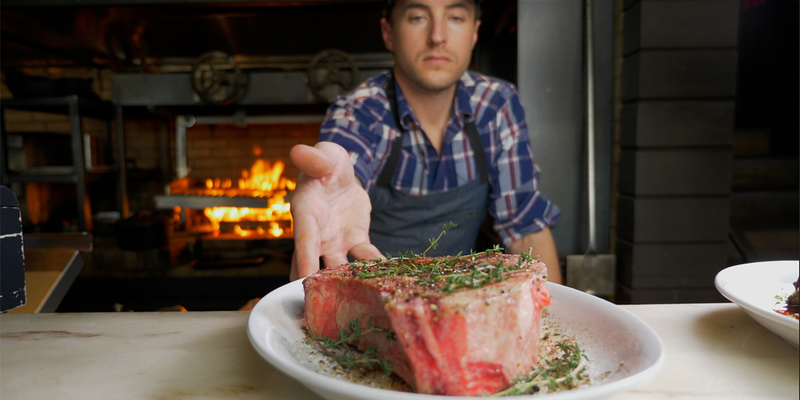 Executive Chef EJ Hodgkinson brings a lifelong passion for sustainable, organic food to the open-fire menu at King + Duke | Revere Meat Co. In Mark Twain’s immortal “The Adventures of Huckleberry Finn,” The King and The Duke may take on the trappings of royalty, but they’re scoundrels at heart – con men insinuating themselves into high society for nefarious purposes. 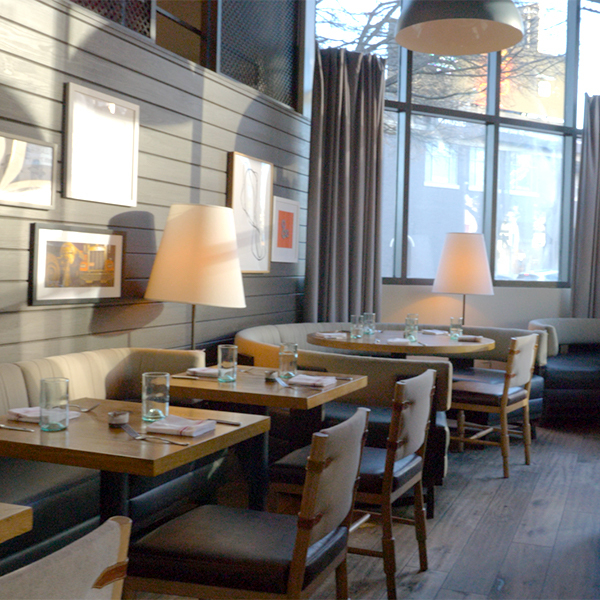 Atlanta’s King + Duke has more noble intentions – namely, crafting high-quality food rooted in American traditions – but they share a mischievous gleam with the “Huck Finn” villains. The restaurant sees itself as something of an impish interloper in the city’s high-end Buckhead neighborhood. Regardless of its rogue intentions, King + Duke has taken its rightful place alongside Buckhead’s chic art galleries and trendy boutiques. Just five years since opening its doors, K+D has been ranked one of the country’s best restaurants by both GQ and Esquire magazines. That’s due in no small part to Executive Chef EJ Hodgkinson’s commitment to fresh and sustainable ingredients. 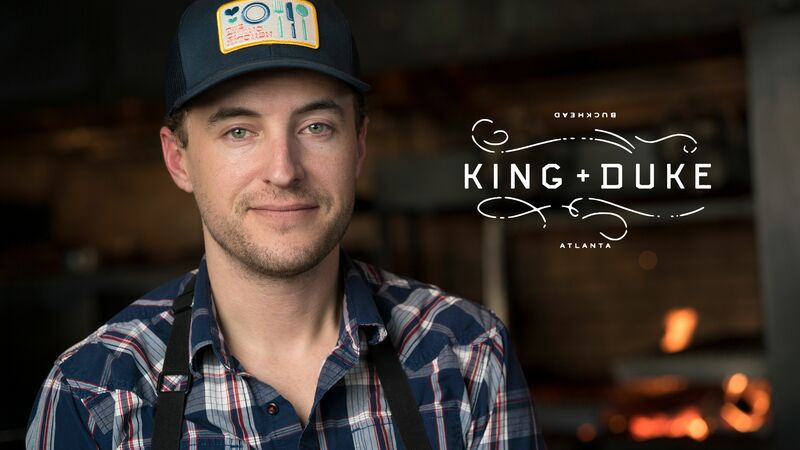 Executive Chef EJ Hodgkinson from Atlanta's King + Duke. 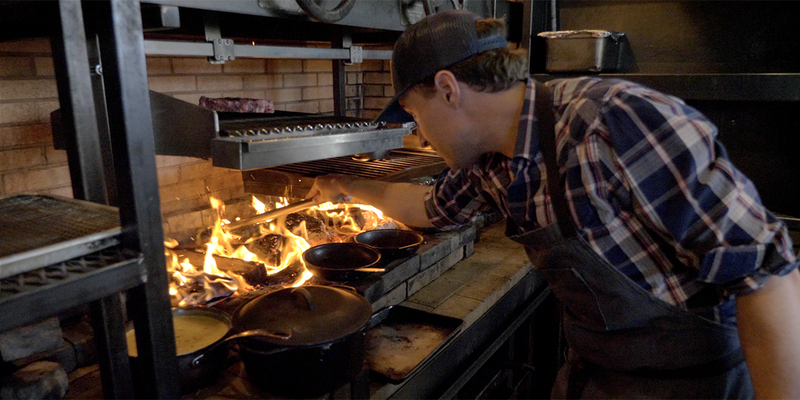 With his passion for responsible butchering, organic and locally-sourced ingredients, and direct-heat cooking, Hodgkinson’s food is another win-win, this time for visitors to King + Duke, who are treated to delicious, smoky, and environmentally responsible meals. Hodgkinson stresses the importance of finding partners who reflect his and the restaurant’s values. 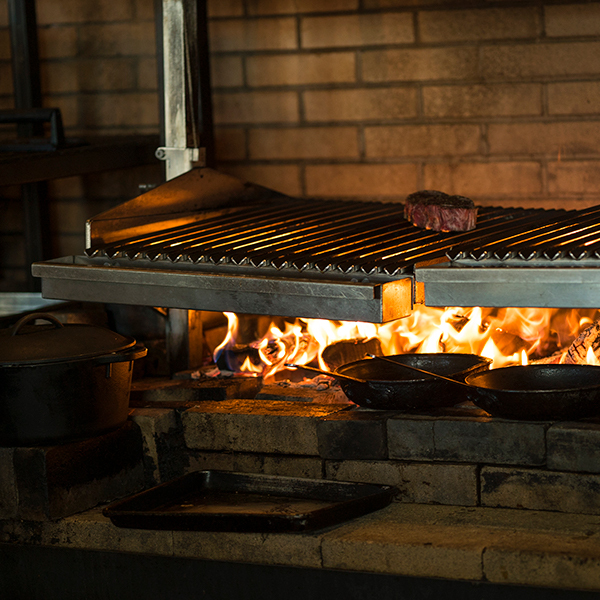 King + Duke’s menu – like the restaurant itself – is built around a 24-foot open hearth, a breathtaking centerpiece that reminds patrons of its dedication to old-world open-fire cooking with every lick of its flames. Hodgkinson’s dishes combine the most primitive of cooking techniques with a remarkable finesse. 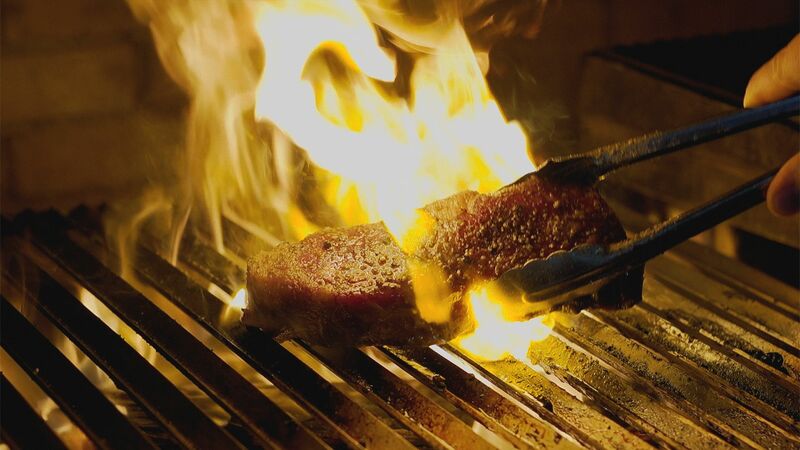 While that menu may offer anything from a grilled swordfish to a hearth-baked lasagna, its keystones are its two namesake dishes: The King, a 35oz. 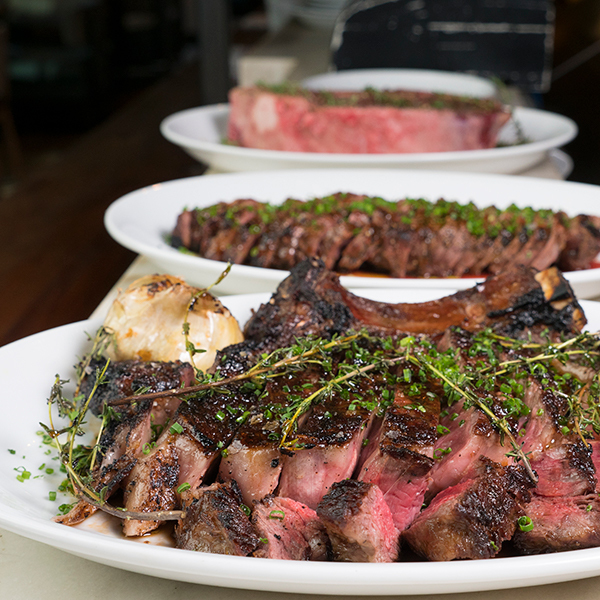 bone-in ribeye steak served with grilled bone marrow and locally-baked sourdough bread; and The Duke, a 9oz. burger made from brisket and chuck ground daily in-house. 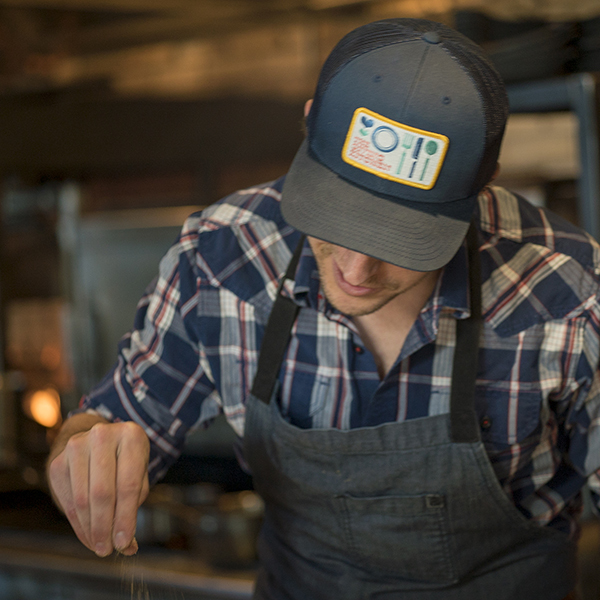 Both, along with most of the menu, are focused on ingredients sourced locally, a guiding tenet that can also provide challenges to such a large-scale establishment.